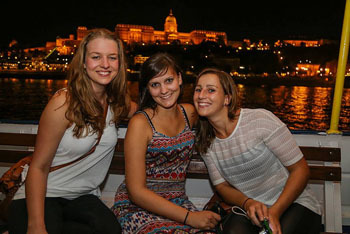 Craft Beer Cruise Budapest-Taste the Best Local Micro Brews! Savour some of the best beers made by Hungarian craft breweries while taking a cruise on the Danube! Date & Time: Every day: 14.00, 16.00 (01. apr – 30. Dec) and 19.00. Duration: 1,5 – 2 hours. Please choose date in the calendar! Price: 29 EUR, students: 27,50 EUR. Optional Pick-Up/Drop Off Service for +14 EUR! Price: full price: 29 EUR/prs, student: 27,50 EUR/prs. You can book a taxi transfer to the boarding point and back to your hotel after the program for plus 14 EUR. Note: If you book the cruise with taxi Pick-Up Drop Off please be at your hotel’s reception 1 hour before the tour starts. Please present it in print form or on your mobile/tablet to our staff at the meeting place, the Danube Palace (Zrínyi utca 5., district V. city centre). Additional 1 pint bottle of your choice of any of the above beers for FREE! 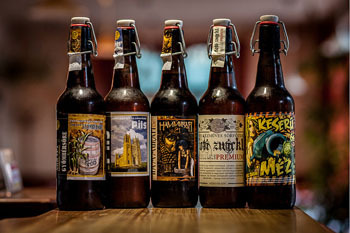 After decades of drinking unimpressive beers mass produced by big companies (Dreher, Soproni Ászok), today the craft beer scene is rapidly evolving in Hungary and beer lovers can choose from a wide palette of artisan brews made by a handful inventive microbreweries. From spicey IPA-s, heavy porters, to lighter lagers or sweet fruit beers everyone will find something to her/his taste. Budapest has also seen a boom in craft beer bars (Léhűtő, Élesztő, Legenda, Kandalló Pub or Marionett in the Marriott Budapest Hotel) where the most popular microbrews are on tap along with the newest favourites. What’s more, the city hosts a couple of beer festivals each year if you cannot attend our beer cruise. 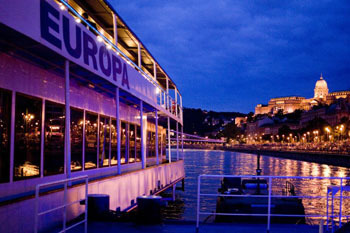 The craft beer cruise gives you a quick but all-round picture about the world of Hungarian specialty beers. 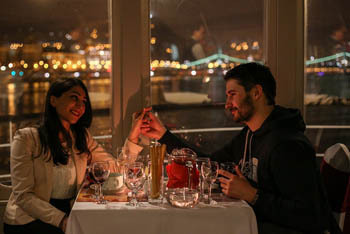 Combined with a 2-hour sightseeing excursion on the Danube where you get to see the marvelous World Heritage listed cityscape it’s a fulfilling and great-value program. Very good value for the money – for 27/25 EUR you can drink 5 x 150 ml top-quality beers + a 0,5 litre bottle of your choice of the any of the beers you sampled. Snacks – bread sticks, salted peanuts – live music by an award-winner gypsy orchestra, the river cruise are all included in the price. Type: Zwickelbier/Kellerbier, A highly hopped, fruity, light unfiltered lager-type beer. The Fóti Kézműves Sörfőzde was founded in 1994 in Fót town near Budapest,. In the beginning it only made classic beers. Then around 2010–2011 it was the first that started to make specialty beers in Hungary. Their first experiment, Keserű Méz/Bitter Honey was Hungary’s first hoplager, the country’s answer to the iconic US craft beer, the Indian Pale Ale (IPA). Then they came out with the Zwickl, an unfiltered aromatic lager with high hop content. It’s originally a seasonal beer perfect in spring time, but you won’t regret a mug or two no matter what season we are in the year. This strong wheat beer is brewed by Rizmajer Sörfőzde located in Csepel (district XXI.) part of the capital. It’s one of the largest small-scale brewery in the country with a pleasant pub in the centre of Csepel (another one has opened on József körút, the Grand Boulevard, in November 2016). The Rizmajer Búza is said to be the best wheat beer in Hungary so you really must taste it! This amber-orange coloured hefeweizen has citrus and malty aroma with creamy mouthfeel. Available: in flip-top 0,5 L bottles, Price in shops: cc. 600 HUF. Keserű Méz is one of the most popular local artisan beers, a symbol of the new-wave micro brewing movement undergoing in Hungary. The name means Bitter Honey referring to the Roman Polanski movie Bitter Moon (1992). The beer is made with insane amount of fragrant German hop leaves (Spalter and Magnum) resulting in a nice combination of bitter and honey sweetness with wild flower, mango, pear and citrus notes. Opalesque, amber yellow colour with a white head that dissipates quite quickly. Best chilled on a hot summer afternoon at the beach but tastes wonderful on deck of a cruise boat too! Flying Rabbit IPA by MONYO Brewing Co. This well-loved AIPA by MONYO Sörfőző Társaság is made with 4 base malts and spiced with Magnum and Citra hops. In a glass expect dark amber colour with thick, off-white head. Lemon, grapefruit, orange peel and other tropical fruit notes. Vivid bitterness replaced by toffee-like sweetness and a burst of spices. Has the funniest label. Refreshing on a sultry evening! A full-bodied dark lager by the Horizont Sörfőzde in Budapest. A fusion of English, Belgian and American brewing elements. candied sugar, coffee and dark chocolate, slightly fruity with citrus, tropical fruit and wild flower aromas. This refreshing, light fruit beer comes from Tapolca town west of Budapest where the Stari Sörfőzde has been brewing beers since 1992. Their Black Currant (Feketeribizli) brew is lighter on hops and has a sweet, slightly tart flavour. It’s a real ladies’ favourite – just like other fruit beers – due to its sweetness and low alcohol content. TIP: It’s rarely available in shops – even in craft beer shops – anymore so our cruise is a good opportunity to try the Stari Blackcurrant! Noting tastes beer than a bottle of chilled Stari Blackcurrant on a scorching summer day! If you love fruit beers try Stari Meggyes (Sour Cherry) or the Stari Szilva (Plum) brewed in the same style than the Blackcurrant with similarly low alcohol content. They also have a Grapefruit Wheat Beer in which the vivid tartness of the fruit nicely compliments the malty sweetness of wheat. TIP: Quite a few brew pubs, cafes, and even hotels – Baltazár in Buda Castle, the Four Seasons Gresham Palace offer craft beers including Stari Beers so you can easily taste them while in Budapest. The Főzdefeszt, the 1st craft beer festival in Hungary held twice a year: in June then in September usually in City Park. Főzdefeszt offers the widest offer in craft beers at one place with usually 50+ artisan brewers present. In addition to great beers you can have some of the tastiest street food during the festival. Belgian Beer Festival – The Whale/Bálna Entertainment Centre gives home to this event usually in May or June. Czech Beer Festival – takes place in mid-summer, lots of Czech brews on tap with traditional Czech dishes and music. TIP: Combine craft beer tasting with a live blues concert show in the city’s most original bar, the Krak’n Steampunk Saloon located on the Grand Boulevard. 5 great microbrews, concert and optional dinner are included for a memorable evening.